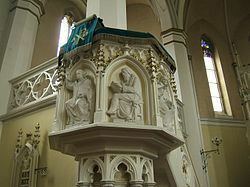 Protestantism is a form of Christianity which originated with the Reformation, a movement against what its followers considered to be errors in the Roman Catholic Church. It is one of the three major divisions of Christendom, together with Roman Catholicism and Orthodoxy. 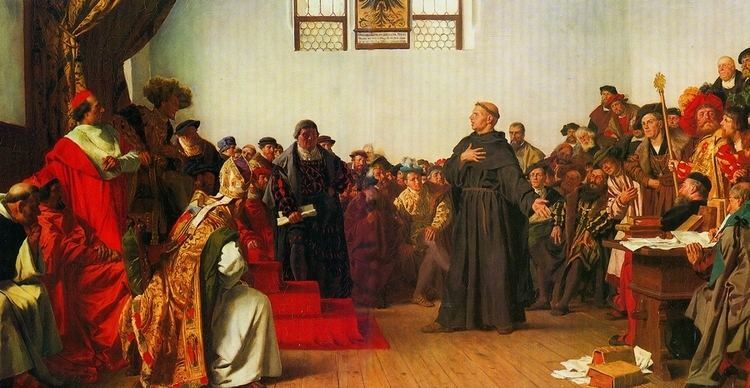 The term derives from the letter of protestation from German Lutheran princes in 1529 against an edict of the Diet of Speyer condemning the teachings of Martin Luther as heretical. In the 16th century, Lutheranism spread from Germany into Denmark, Norway, Sweden, Finland, the Baltic states, and Iceland. Reformed churches were founded in Germany, Hungary, the Netherlands, Scotland, Switzerland and France by such reformers as John Calvin, Huldrych Zwingli, and John Knox. The political separation of the Church of England from Rome under King Henry VIII brought England and Wales into this broad Reformation movement. Protestants developed their own culture, which made major contributions in education, the humanities and sciences, the political and social order, the economy and the arts, and other fields. With more than 900 million adherents, nearly 40 percent of Christians worldwide, Protestantism is more divided theologically and ecclesiastically than either Eastern Orthodoxy or Roman Catholicism, lacking both structural unity and central human authority. Some Protestant denominations do have a worldwide scope and distribution of membership, while others are confined to a single country. 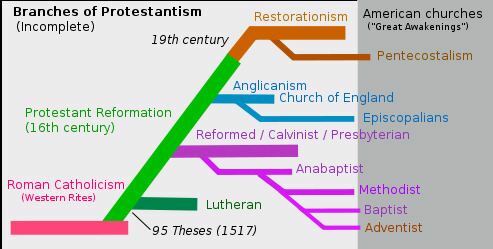 A majority of Protestants are members of a handful of denominational families: Adventism, Anglicanism, Baptist churches, Reformed churches, Lutheranism, Methodism, and Pentecostalism. Nondenominational, evangelical, charismatic, independent and other churches are on the rise, and constitute a significant part of Protestant Christianity. 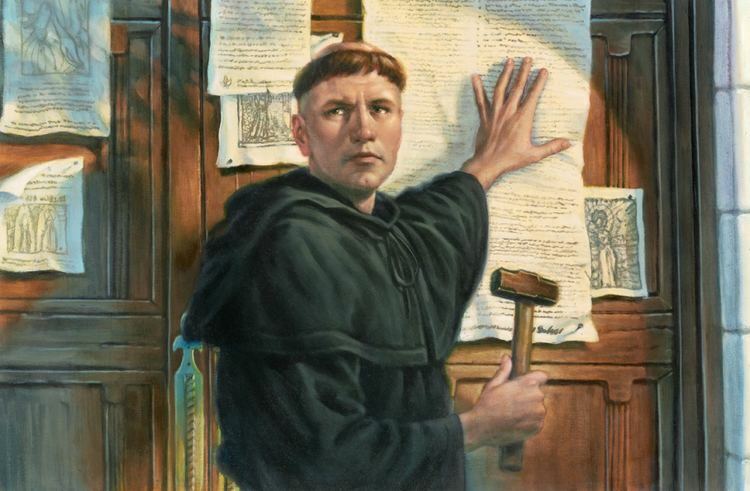 The Reformation was a triumph of literacy and the new printing press invented by Johannes Gutenberg. Luther's translation of the Bible into German was a decisive moment in the spread of literacy, and stimulated as well the printing and distribution of religious books and pamphlets. From 1517 onward, religious pamphlets flooded much of Europe. The name Anabaptist, meaning "one who baptizes again", was given them by their persecutors in reference to the practice of re-baptizing converts who already had been baptized as infants. Anabaptists required that baptismal candidates be able to make their own confessions of faith and so rejected baptism of infants. The early members of this movement did not accept the name Anabaptist, claiming that since infant baptism was unscriptural and null and void, the baptizing of believers was not a re-baptism but in fact their first real baptism. As a result of their views on the nature of baptism and other issues, Anabaptists were heavily persecuted during the 16th century and into the 17th by both Magisterial Protestants and Roman Catholics. While most Anabaptists adhered to a literal interpretation of the Sermon on the Mount, which precluded taking oaths, participating in military actions, and participating in civil government, some who practiced re-baptism felt otherwise. They were thus technically Anabaptists, even though conservative Amish, Mennonites, and Hutterites and some historians tend to consider them as outside of true Anabaptism. Anabaptist reformers of the Radical Reformation are divided into Radical and the so-called Second Front. Some important Radical Reformation theologians were John of Leiden, Thomas Müntzer, Kaspar Schwenkfeld, Sebastian Franck, Menno Simons. Second Front Reformers included Hans Denck, Conrad Grebel, Balthasar Hubmaier and Felix Manz. Evangelicalism, or Evangelical Protestantism, is a worldwide, transdenominational movement which maintains that the essence of the gospel consists in the doctrine of salvation by grace through faith in Jesus Christ's atonement. There are more than 900 million Protestants worldwide, among approximately 2.4 billion Christians. In 2010, a total of more than 800 million included 300 million in Sub-Saharan Africa, 260 million in the Americas, 140 million in Asia-Pacific region, 100 million in Europe and 2 million in Middle East-North Africa. Protestants account for nearly forty percent of Christians worldwide and more than one tenth of the total human population. Various estimates put the percentage of Protestants in relation to the total number of world's Christians at 33%, 36%, 36.7%, and 40%, while in relation to the world's population at 11.6% and 13%. Changes in worldwide Protestantism over the last century have been significant. Since 1900, Protestantism has spread rapidly in Africa, Asia, Oceania and Latin America. That caused Protestantism to be called a primarily non-Western religion. Much of the growth has occurred after World War II, when decolonization of Africa and abolition of various restrictions against Protestants in Latin American countries occurred. According to one source, Protestants constituted respectively 2.5%, 2%, 0.5% of Latin Americans, Africans and Asians. 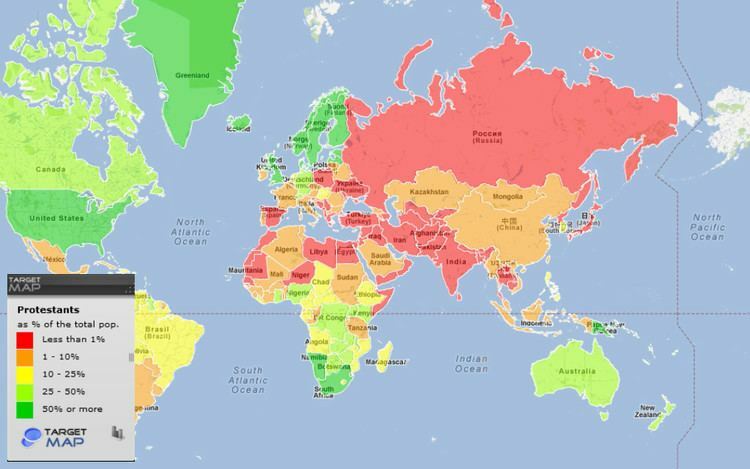 In 2000, percentage of Protestants on mentioned continents was 17%, more than 27% and 5.5%, respectively. According to Mark A. Noll, 79% of Anglicans lived in the United Kingdom in 1910, while most of the remainder was found in the United States and across the British Commonwealth. By 2010, 59% of Anglicans were found in Africa. In 2010, more Protestants lived in India than in the UK or Germany, while Protestants in Brazil accounted for as many people as Protestants in the UK and Germany combined. Almost as many lived in each of Nigeria and China as in all of Europe. China is home to world's largest Protestant minority. By 2050, Protestantism is projected to rise to slightly more than half of the world's total Christian population. According to other experts such as Hans J. Hillerbrand, Protestants will be as numerous as Catholics. According to Mark Jürgensmeyer of the University of California, popular Protestantism is the most dynamic religious movement in the contemporary world, alongside the resurgent Islam.